LISTEN NOW! Greg, John, and Pat discuss how President Bill Clinton wants to lead the world. They continue to discuss a comment President Bill Clinton made in 1996 in a Barbara Walter interview aired just recently. He said “I would like to be the second President in the history of the country; the first was Theodore Roosevelt, to lead this country to a period of dramatic change with in America and in the world without a major war.” They further discussed how Hilary Clinton and President Obama were Saul Alinsky’s followers. Hilary Clinton wrote a theses on the Alinsky’s tactics and President Obama taught them for four years in the in the university. These tactics are all outlined in Saul Alinksy’s book Rules for Radicals where he gives a shout out to Lucifer on the front inside cover and a shout out to Hilary Clinton and Barack Obama on the back cover. They continued to discuss that many thought during the 2008 presidential election that Senator Hilary Clinton was going to be a shoe in for President. They begin to explore the idea that while the “selecting” process was being done maybe it was decided that in order to get the nation ready what was needed first was 8 years of intense organizing to get the nation ready. Transformation usually happens during war. President Woodrow Wilson and Franklin D. Roosevelt both ran on not going to war but in the end they both took us to war. Here we are with former Secretary Hilary Clinton as the most traveled U.S. secretary and former President Bill Clinton who allegedly wants to be president of the world. Perhaps things are in motion with the Clinton Global Initiative as a start. They continue to discuss how things have unfolded in recent times with Secretary Clinton, former President Bill Clinton and even to the point that an alleged communist sympathizer has been elected as the Mayor of New York. They continued to discuss how they are organizing the world using Alinsky tactics. They also discuss that organizing in itself is not wrong as proven by Dr. Martin Luther King Jr. but who is doing the organizing, with what methods, and for what purpose. Dr. King operated under God’s word and the constitution this is very different than Lucifer’s tactics. Tell me your friends and I will tell you your future. Prophecy: Is NYC Babylon as stated in Revelation 18? 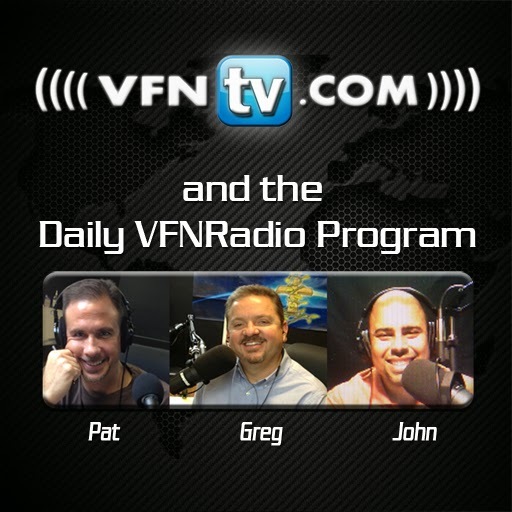 Greg, John, and Pat ask the question whether New York City is Babylon as stated in Revelation 18. They continue to discuss how the book of Revelation in the Bible is not written in sequential order. If it were laid it out in specific order no doubt man would think they have God figured out. They continue to discuss the grandeur of America and how many people from all the nations of the world want to come here. It is often said that when America sneezes the world catches a cold. The question they continue to ask is New York City Babylon as it is stated in Revelation 18. Verse3 states “For all the nations have drunk the maddening wine of her adulteries.” Adultery towards God is when you make anything else God but God. They discuss how NYC is the center of so many things when it comes to fashion, media, entertainment, marketing, and even finances with Wall Street. What other city is like that? They continue to discuss verse 4 “Come out of her, my people, so that you will not share in her sins, so that you will not receive any of her plagues.” They remind us how God is not a respecter of cities as they remember when Rick Joyner told those who are living in California that they should leave California. There is life outside the city. They continued to discuss how you will share in sins of a city that has turned its heart against God. There is a time when you just need to leave a place or a job. It is better to leave a place where you were making more money to bring you family to a place of Godly protection both physical and spiritual even if you get a pay cut. No amount of sheet rock or building structure can protect you. Separate yourselves from those who refuse to separate themselves from the world. Could New York City be hired for Babylon as stated in Revelation 18? It looks like it fits the criteria. When you look at the money that is in NYC and how the kings of the world all gather in NYC at the United Nations and the amount of money that is given to them it really puts things into perspective. Verse 8 “Therefore in one day her plagues will overtake her: death, mourning and famine. She will be consumed by fire, for mighty is the Lord God who judges her”. Babylon falls in a day. New York falls in a day. Some may say that’s not possible however we don’t have to look too far back like as in 9/11 when the towers fell. That day changed everything. They further discussed how the United Nations needed to be removed from the United States. God is going to balance the scales. God is into justice. They continue to discuss how God has shown them and others NYC in ruins. The Federal Reserve has no plans to stop printing money. It’s not going to be good and encourage those in the city to be prepared.